Jet Ski Tours & Parasailing in Orange Beach, Gulf Shores & Perdido Key! Come parasailing Orange Beach, Alabama! The sugar-white beaches and emerald blue waters of the Gulf Coast offer the ideal playground for water sport enthusiasts. Located at the world-renowned Orange Beach Marina, Orange Beach Marina Water Sports has the water toys you need to enjoy a perfect day in the water – or above it! With parasailing, individual and family jet ski tours, and banana boat rides, you can choose a bird’s eye view from 800 feet above the water while parasailing or a fish-eye view from a jet ski or banana boat. 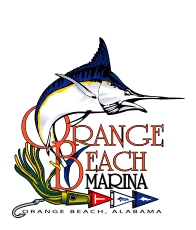 Orange Beach Marina Water Sports is conveniently located on the property of Orange Beach Marina. The marina hosts two onsite restaurants and waterfront shopping for supplies, souvenirs and nautical clothing. Charter boat rides are available for fishing excursions and dolphin tours.